Or, get it for 27200 Kobo Super Points! Domestic violence against women is a problem that cries out for informed discussion and effective treatments. Intervening With Assaulted Women is a definitive response to those cries. The authors of each of the chapters included in this collection were selected for their ability to address a different issue related to the abuse of women. 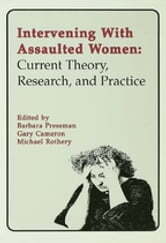 As a result, a wide range of concerns are confronted and discussed in this book, among them, the socio-political underpinnings of violence against women, the early childhood learning of assaultive men, and the traumatic impact of abuse on women and children. As for possible treatments, a current and uniquely comprehensive range of responses is described and evaluated, making this an excellent text for both front-line and classroom settings.